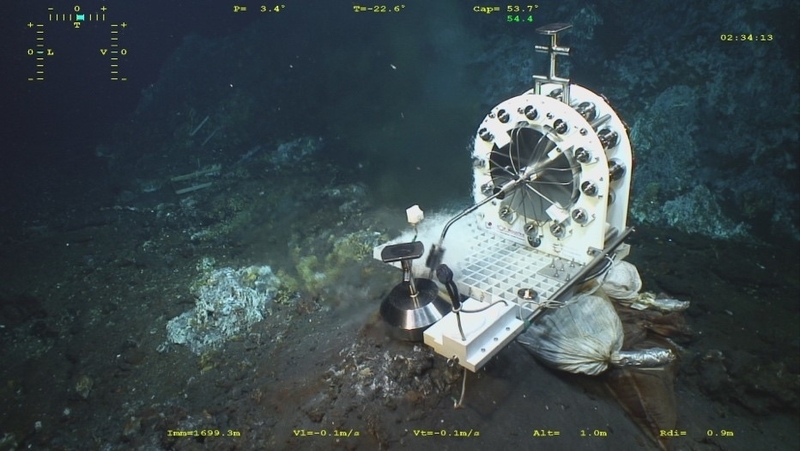 Comment from PI: DEAFS was deployed on the Montserrat vent located at the foothill of the Montsegur vent during ROV Victor6000 dive nº 8-674 on the 21st of July 2017. The vent discharges clear high temperature hydrothermal fluid (275ºC). DEAFS sits on a platform. GET-CNRS / TOP Industrie S.A.S.